This is Nelson Faria together with the legendary guitarist João Bosco. Nelson Faria is a Brazilian guitarist, arranger and teacher. He performed with the greatest artists, can be listened to on numerous recordings and wrote a standard work for guitarists about how to play Brazilian music. His program Um café lá em casa (a coffee at home) is ingenious in its simplicity: inviting colleague musicians for a coffee and a talk about their life, career and music. The conversations are in Portuguese but also for non Portuguese speakers it’s worth watching since live music forms it’s main part. A real must see for all those who love – Brazilian – music. Watch the video to see the hand of Hennie van der Vegt painting one of his famous blossoms. Esther used the painting for the cover of her latest CD which actually is an EP. 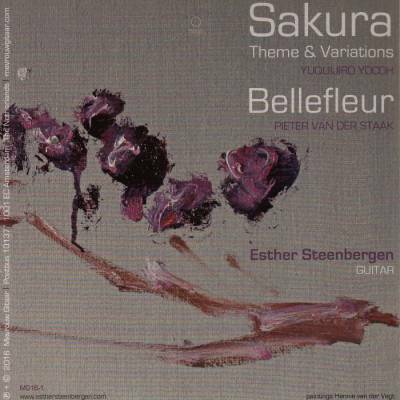 It contains two pieces, Sakura, Theme and variations by Yuquijiro Yocoh and Bellefleur by Pieter van der Staak. I think she plays both of them beautifully. You can order the CD at her website. Of course it’s available for download as well. 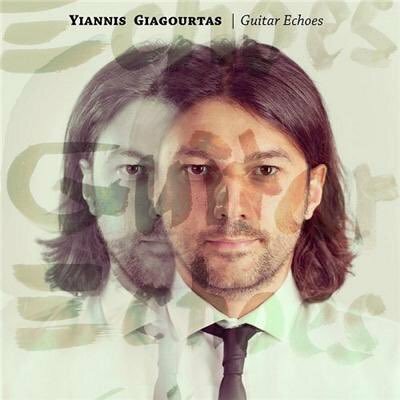 This is Guitar Echoes, the debut solo CD of Yiannis Giagourtas, a guitarist from Greece, whom I wrote about earlier. For my debut album I chose to record works from a few of my favorite composers. This selection lit my passion for music, in particular for the classical guitar. I hope these pieces will touch your soul as they have touched mine! In the video you can listen to a track of Guitar Echoes: Gnossiene nr. 1 by Erik Satie. Guitar Echoes is for sale at CD Baby. 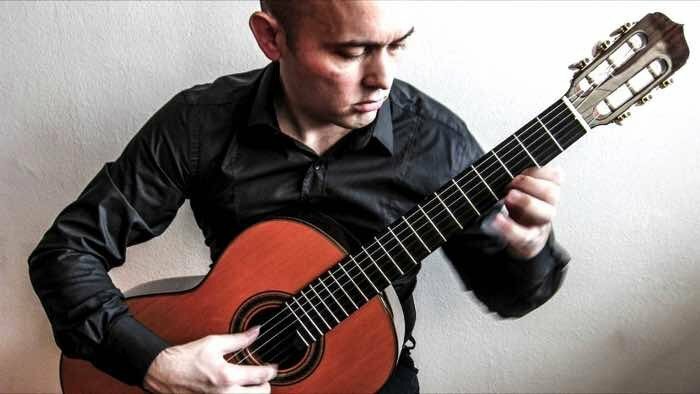 This is Aitor Hernández a Spanish guitarist, living in Madrid. He sent me an email long time ago, to let me know he bought a guitar of mine at Casa Luthier in Barcelona. Aitor Hernández and I never met but thanks to Google I know he used to form a duo with guitarist Sergio Sleiman. More recently he started a duo with a violinist as well as with his sister, soprano Saioa Hernández. He is playing concerts and is working as a teacher at Escuela de Música Prolat. In his email he included a link to the video below in which he plays Etude 12 by H. Villa Lobos. It was recorded a while ago. More recent video’s can be found here .